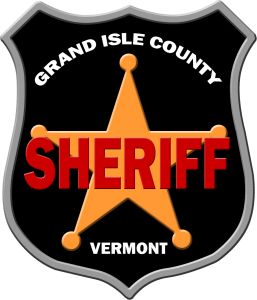 The Patrol Division is the most visible part of the Grand Isle County Sheriff’s Department. Deputies assigned to patrol are responsible for providing law enforcement services to all 5 towns in the county. The Sheriff’s Department responds to thousands of calls for service and writes over 2,300 incident reports every year. Patrol is the starting point for all investigations into criminal activity. Deputies respond to all types of calls for service, along with investigating traffic crashes, making arrests, preparing court documents, resolving domestic related disputes, juvenile problems, assisting Fire and Rescue agencies, US Border Patrol, and helping the public during any type of emergency situation that arises. When deputies are not answering complaints, they are active in enforcing motor vehicle laws on the county’s roads, trying to intercept drug and criminal activity, along with preventing traffic crashes by curbing reckless driving and driving under the influence of alcohol or drugs. Deputies are also busy in the community working in the schools and educating the public. Due to the ever increasing demand on law enforcement action, calls for service are prioritized by nature of the incident. Generally, a robbery or crime in progress would elicit a faster response then a vandalism or ongoing neighbor dispute for example. To report a crime, or to request assistance from a Deputy, please call the Sheriff’s Department and speak with the dispatcher, who will obtain your information and the initial details of the case, and will then dispatch a Deputy to assist you. The Deputies dispatch through the the Vermont State Police Communications Center, which is located in Williston, at the VSP Barracks. Alternatively, you can Submit a Tip about suspicious or criminal activity using our online tip submission form. Do not use the form for emergencies or crimes in progress, as it is not monitored in real-time. If you do not wish to leave your name, please be as detailed as possible.